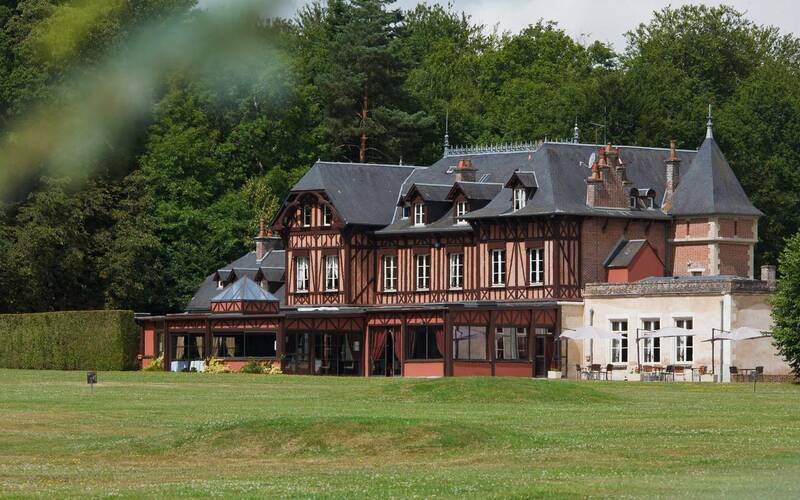 Located in the heart of the forest of Gouffern, Le Pavillon de Gouffern is probably one of the best hotels in Normandy, historic and famous France area. In a 80-hectare park, this former hunting lodge will offer a space of calm and serenity. A multitude of trails crisscross the park and let you discover the fauna and flora, specific to Normandy. Stroll in the dark, on the edge of the forest, and, perhaps will you have the chance to come face to face with one of the many deer that live in total freedom in this green space. Charm, calm and serenity: taste the french "art de vivre"
It is in a refined and tastefully styled that this luxury hotel welcomes you during your stay in Normandy. The presence of noble materials such as leather, wood, or even marble and its natural surroundings make the Pavillon de Gouffern an exceptional place, where luxury and authenticity are one. Its twenty luxurious rooms and its gourmet restaurant will ensure you a real moments of sharing and pleasure, no matter whether you come as a couple or family. The many activities of this luxury establishment will delight young and old people. 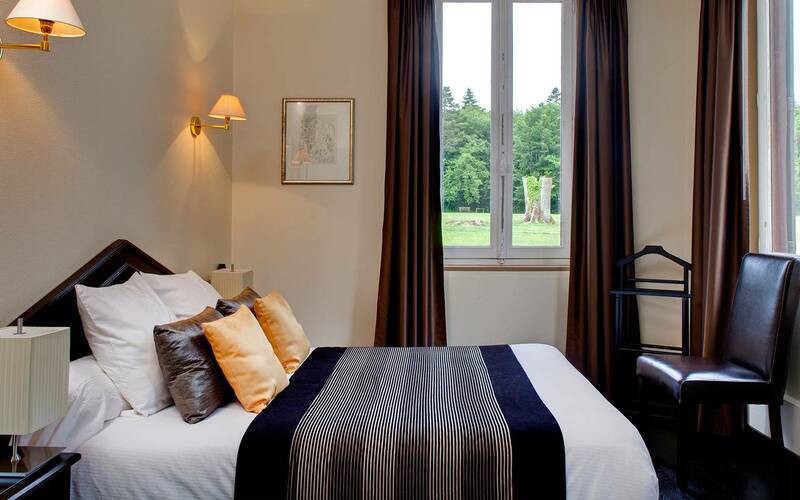 Close to “Le Haras National du Pin”, the town of Argentan and road cheeses (Camembert, Livarot, and Neufchatel), this luxury hotel will allow you to discover the traditions, history and terroir of Normandy. Stroll along the beaches of the D-Day, enjoy an authentic Camembert or even yourself Quench in Pays d'Auge with cider, in one of the many producers of the region.